Far aloft at Portland Community College’s Willow Creek Center is the hum of a new technology that is positively impacting people’s lives. In recent years, drones have been the subject of futuristic pop culture references and exploration—from pizza delivery to human transportation to large-scale agricultural use. But how far off are these creative applications from reality? Maybe not that far at all. 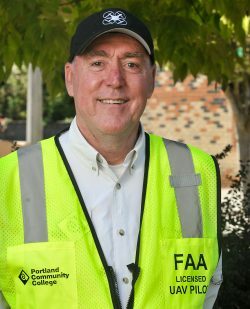 PCC Community Education Program instructor Ric Stephens said that as a professional aerial photographer, he recognized the vast potential of drones for his work. Stephens went on to become an early adopter and has been instructing courses in Comm Ed’s drone program since its inception in 2015. Stephens said drones are thrilling to observe due to both rapid advances in their technology and constantly evolving applications. Examples include delivering medical aid to remote locations, wowing audiences with colorfully orchestrated light displays at major events, and for such business purposes as photography, videography and land surveying for construction and development. As drones develop, he said, their sizes and purposes will vary dramatically. For instance, technology in development may offer a solution to the shortage of pollinating honeybees. On the other end of the spectrum, drones are becoming as large as 20 feet and may become a common mode of transportation. 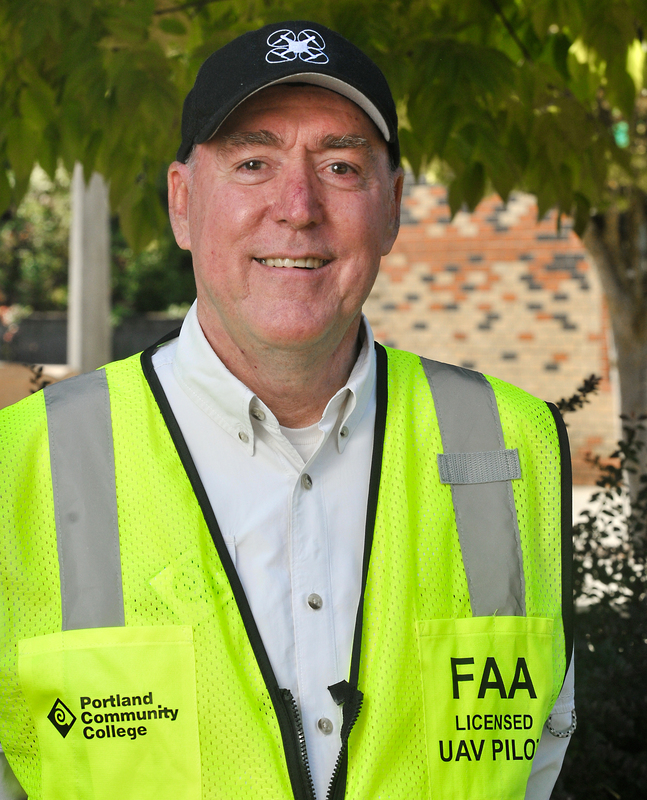 In addition to his work with PCC, Stephens is a member of numerous national and international drone agencies and organizations. His expertise whisks him to faraway conferences—from Norway to Brazil (not via a drone, though). Search and rescue is becoming an increasingly common use for drones. 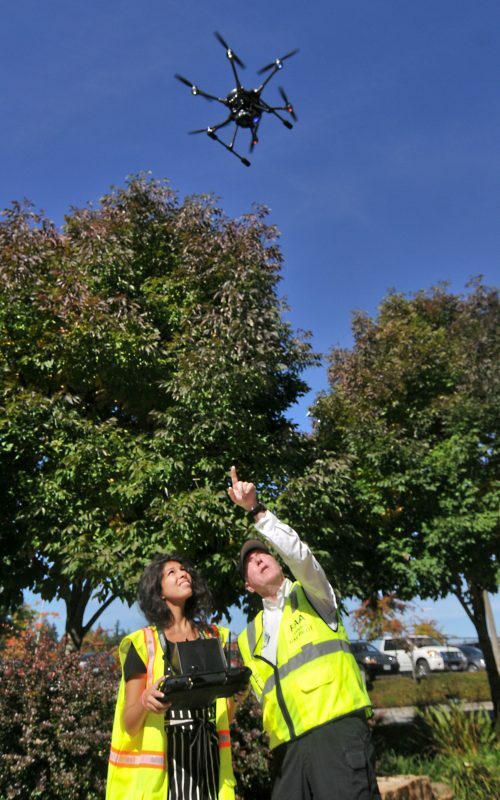 Stephens recently co-edited a white paper to guide emergency services agencies that seek to use drones for regional and local government emergency management. PCC’s drone courses are designed to encourage and prepare students to become responsible pilots in a new field. All students will acquire knowledge of industry history, regulation, ethics and trends. “The potential business applications are endless, and those with proper training can be at the forefront of an exciting new industry,” Stephens said. Visit pcc.edu/communityed to discover upcoming courses. I was wondering when the next classes are and how I get into this? Super excited about this. Step 4. Several options pop up; select the one you like and follow the registration process. Noncredit registration begins Nov. 21st.